The Cotton and Natural Trim Collection is a great selection of jute trim and cotton trim basics. There are many size and style options of jute cording, jute gimp, jute brush fringe and jute bullion. 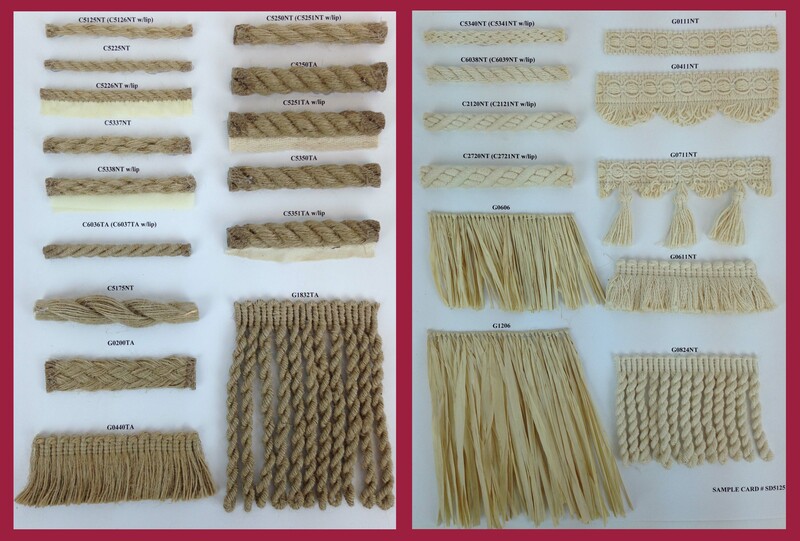 Our collection of natural trims is completed with several choices of cotton cording, cotton gimp, cotton tassel fringe, cotton brush fringe and cotton bullion.